Scammed tells the story of Hitesh Shah, an unlucky assistant manager at a prominent accounting firm, who finds his life transformed overnight due to a series of chance events. However, his fairy tale ends as quickly as it begins, and he soon finds himself accused of being the mastermind behind a large-scale financial scam. Now on the run from the law, he desperately seeks a way to turn things around. Some writers write two or three books in their entire career, while some end up writing 20 or 30 or more. Scammed is your third book in less than two years. Do you see yourself as a prolific writer? 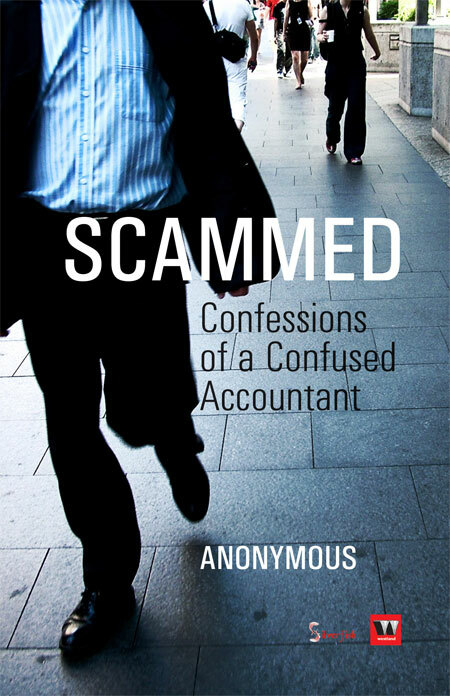 Scammed is actually my third book in three years, as there was a considerable gap between me completing Love, Life & All That Jazz… and its release. But yes, I guess I have stories to tell and I enjoy what I do, and therefore there’s more on its way. 2012 will see the release of my next two books, The Graveyard Shift, a novella, and, Bestseller, a satire on the publishing business in India. What made you want to tell the story of Hitesh Shah? Is the character based on someone you know? What kind of research went into Scammed? I believe Hitesh represents a large segment of the youth today. They are exposed to global media and the lifestyles of the rich and famous. Most of them aspire for a better life, and struggle to get there, as many are stuck in the same rat race resulting in chaos, frustration, and the willingness to cut corners. I did no research for the characters, or anything else in the book. It’s just an observation of what I see around me, and I try to bring that dose of realism in my writing. Given that I don’t live in India, each time I come back, which is often, I notice how aggressive and impatient people have become. From cutting lines at check-in counters at airports to overtaking and honking relentlessly on the streets, we are quite a frustrated lot given our growing materialism, population explosion, corruption, and infrastructure woes, and this is often the catalyst for the kind of things people do in Scammed, in order to get ahead in life. Considering that you already have three published novels in less than two years, you must have a packed schedule, what with your other responsibilities as a publisher. What is your writing process like? How often do you write? Is there a certain ritual that you follow? I write on weekends and at times late at night. When I’m working on a novel, it takes over my life and consumes me, as every waking hour outside of my daily routine is dedicated to writing, editing and rewriting till I finish the book. I don’t follow a set routine, given that I have a day job and other responsibilities of an advisory nature with Grey Oak, which is actually run by a team back in Bangalore and Mumbai in conjunction with our partners at Westland. Why did you decide to release your book as ‘Anonymous’ this time around? We believe that the ‘Anonymous’ credit lends itself well to this title by creating an element of intrigue and mystery. It would evoke curiousity among those in bookstores, who might wonder what this is about and who’s written it. From initial feedback on sales, it seems to have worked. How would you define a successful novel? Do you keep certain things in mind while writing a novel to ensure its commercial success? Are there certain things that ‘sell’ more than others? I think this is very subjective and it differs depending on whom you speak to, depending on whether it is literary or commercial fiction, and who the audience for the book is. I think what I try to keep in mind is, who is the audience for the book? Why would they want to read something like this? It’s important to understand who your audience is, more so than what it takes to sell a book. There are a number of factors that can help ‘sell’ a book, like the recent Rs. 20/copy offer on a number of online stores for a recent book by a popular author, as well as considerable media blitz through a well-heeled publicist. There is a bit of hardsell when you look at books or films in India today. For me, I find it best to stay away from some of the things that people do to make their books/films successful or create a perception of success, as it is soul destroying and goes against the reasons of why I do what I do. 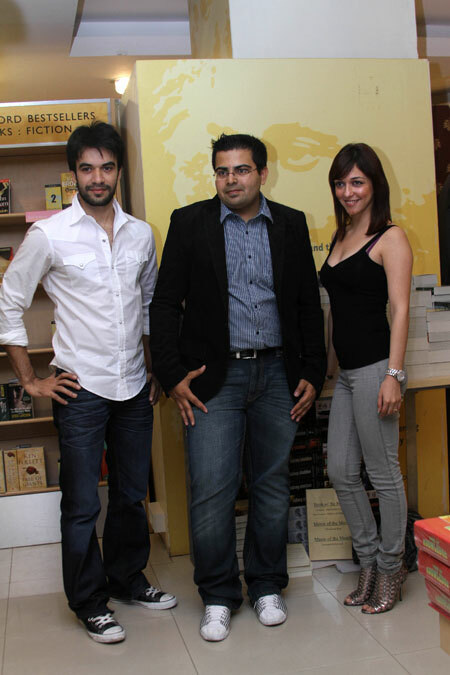 Punit Malhotra, Ahmed Faiyaz, and Nauheed Cyrusi at the Scammed book launch. Who would you say are your three favourite novelists in India at the moment? When you read a book, is it the story/content that interests you, or is the style of writing more important for you? It’s hard to pick favourites as often its a good book and not necessarily a good author that works. On the literary side of things, I feel the works of Amitav Ghosh, Jhumpa Lahiri, Sujit Saraf, and Omair Ahmad are among the best in recent times. I read very little Indian commercial fiction (although my writing falls within this genre), and I’ve really enjoyed the works of R. Chandrasekar, Paritosh Uttam, Ashwin Sanghi, and Oswald Pereira’s recent, The Newsroom Mafia. Of course, we also have the classic works of R. K. Narayan, Ruskin Bond, Saadat Hasan Manto, Premchand, and Sankar. What prompted you to start your own publishing house? Grey Oak has grown to become quite well-known in a short span of time, thanks to the success of titles such as Urban Shots. The lack of opportunities for young writers as well as very capable writers who aren’t a part of the inner circle of editors and publishers in Delhi, is among the biggest reasons to get into this business. To some extent, it was the disappointment with what is being published in the name of Indian fiction. Yes, thanks to our readers, each of our titles has been very successful and has gone in to a number of reprints. I guess we have a better sense of what readers want, and with Westland’s support, we are able to reach a larger audience. There seems to be some talk of you producing a feature film based on your second novel Another Chance. It’s early days yet, but yes, the film is happening in the next few months. It’s an independent feature which people from seven different nationalities are collaborating on. It will have a mix of an Indian and an international star cast including some well known names, and the crew is from Czech Republic, Germany, the United States, Columbia, Russia, Venezuela, and India. We hope to make a beautiful film that does justice to the novel. Have you already started working on your next novel? If so, could you tell readers a little more about it? Well, I’ve completed my next two novels. One is a novella called The Graveyard Shift that will release in April/May 2012 under the Westland imprint. It’s a composition of seven inter-connected short stories, and the lives of the characters in these stories collide into each other in some sense, one evening in Mumbai. We’re making a film on this subject. We’re shooting these as short films with a number of different directors, and at an editing stage, it will be cut as feature. 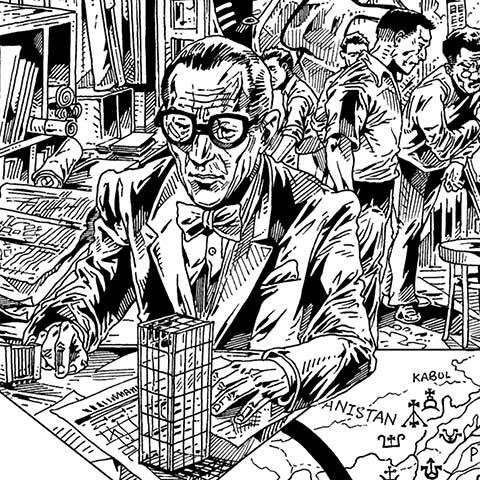 What follows is Bestseller, a satire on the publishing world. I finished it in August 2011 before my son was born, and will be editing it soon for a December 2012 release. Do you have any final words for Helter Skelter readers? You certainly have fine taste; keep reading the features on Helter Skelter.